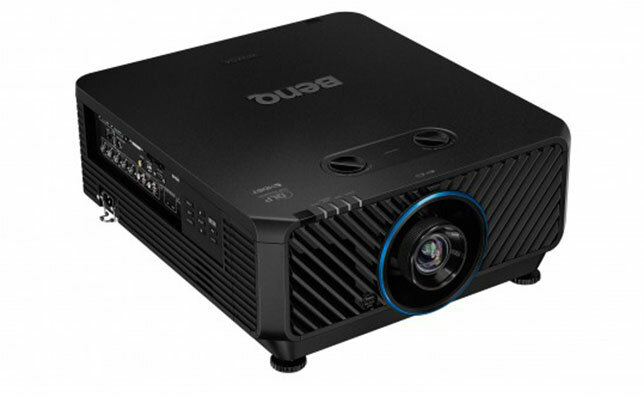 BenQ is launching several new technologies at the InfoComm 2016 conference this week in Las Vegas, including interactive flat panels for classrooms, a new hybrid DLP laser projector and a new transparent digital signage line that combines a transparent digital screen with a display case. The LU9715 is expected to ship this month. On the interactive flat panel (IFP) front, BenQ has launched three new models in its RP Series, designed for classroom applications. All of the new models offer 20-point multitouch support, bacteria-resistant coating, tempered-glass screen, anti-glare coating and optical features designed to reduce eye fatigue. All come with Google’s Android operating system built in and include “a suite of apps and educational games for classroom instruction, such as a WPS Office document reader, built-in Web browser and an EZWrite instant digital blackboard annotation tool and media player app,” according to BenQ. The new lineup includes a 65-inch, 70-inch and 75-inch model, each sporting HD resolution. They join a 90-inch model that offers 4K resolution. Support for media stored on a flash drive. The TL240C has a 24-inch display, while the TL321C has a 32-inch display. BenQ is exhibiting at the InfoComm show in booth C5922.